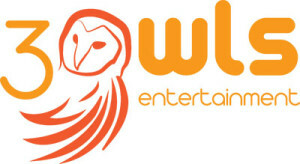 3 Owls Entertainment provides sound, lighting, and DJ services for events in the Greater Toronto Area. Using only the best audio and visual equipment, Charles is able to provide quality and reliability to events of all shapes and sizes. His high energy, happy and friendly personality takes your party to the next level! Our couples enjoy complimentary high definition projector and screen rental (savings of $250.00!) from 3 Owls Entertainment, plus 10% off our Signature Album or Exquisite Album (save up to $100) when you use both 3 Owls Entertainment and Kelvin Young Photography for your big day! Contact 3 Owls Entertainment today and mention your photographer is Kelvin Young Photography to receive this exclusive offer. Conditions apply. Please contact us for details.